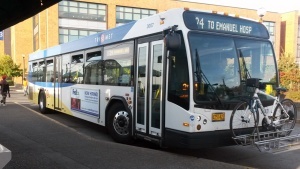 TriMet (Tri-County Metropolitan Transportation District) provides local and regional transit in the Portland metropolitan area, covering parts of Multnomah County, Clackamas County (Clackamas, Oregon City, Happy Valley, Lake Oswego, Milwaukie, West Linn), and Washington County. TriMet operates buses, MAX Light Rail, and WES Commuter Rail. TriMet connects with Portland Streetcar (run by the city), Amtrak trains, and C-Tran buses to Vancouver, Washington.